A hospitality package at Chester is the finest way to experience a race day this coming season. We take a closer look at what the racecourse has to offer. The Final Furlong Restaurant is located within Chester Racecourse’s Festival Village. This facility is perfect for groups and situated just a short stroll from the running rails, the perfect spot to view the final stages of each race. 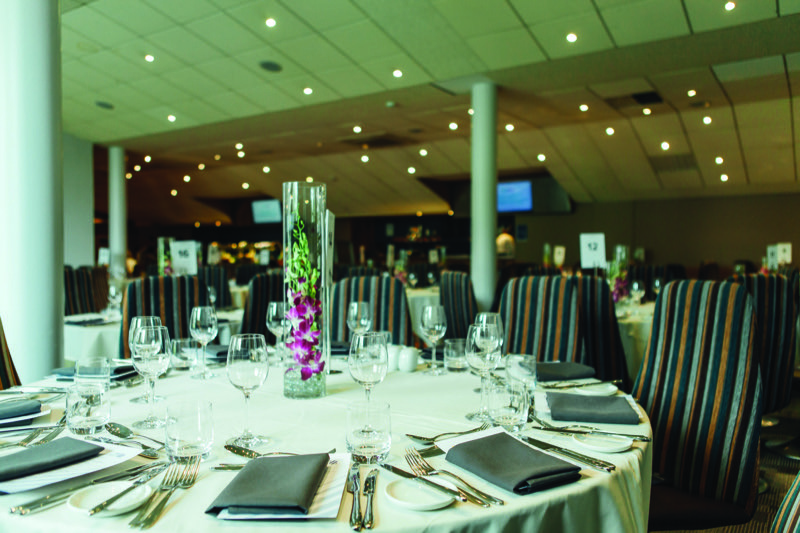 Named after the year that racing first took place in Chester, this stylish, contemporary glass-fronted restaurant boasts a breath-taking panoramic view of the racecourse. The restaurant is suited to smaller groups of individuals, friends and family and offers modern British cooking with a focus on locally sourced produce. Enjoy your race day from modern gastro pub, The White Horse. Set in the heart of the paddock, The White Horse is in close proximity to both the pre-parade and parade ring. There are three packages to choose from including a more relaxed BBQ offering. The Paddock Rooms are perfectly situated adjacent to the parade ring and offer private dining, along with the opportunity to relax on your own terrace. It’s the perfect place to soak up the day’s atmosphere. You can see the horses and jockeys preparing for each race, whilst enjoying a glass of bubbly in the sunshine. Feel the action as it’s happening from the contemporary and spacious setting of the Festival Village and the comfort of a private Festival Chalet. These spaces are suited to groups and you and your guests can enjoy the live music on offer between races, whilst being just a few steps away from the running rails as the horses thunder past. The Private Boxes at Chester Racecourse offer a premium experience. The perfect setting overlooking the track, each box provides spectacular views of the final furlong, winning post and the crowds below. Private Boxes offer a bespoke dining package and each have a private balcony. Situated on the ground floor of the County Stand, The Turf offers grandstand seating and fabulous views of the course and the winning post. During the Boodles May Festival, enjoy the addition of an afternoon tea to your package. This lounge is perfect for couples and smaller groups.